Tuesday: Heidi Chiavaroli led a great discussion on three reasons we should allow our characters to struggle with faith questions. The winner of her new book The Hidden Side and It Is Well With My Soul wall art is Sandy Smith! Wednesday: Ruthy rolled into town with a thought-provoking post on adversity... not for our characters. Because we're supposed to do that! But for us, as people. Parents, children, leaders, followers, sisters... the adversity that hits all of us. How to punch through... and how to work through times of trouble. Winner of Ruthy's beautiful story "More Than a Promise" is Amy Pine! Thursday: Beth Vogt joined us in Seekerville today and shared stories of the real people who populate her fiction. The winner of her book, Things I Never Told You, is Jill Weatherholt!! Friday: Beth Erin shared a few Review Dos and Do nots while strongly encouraging readers to write those reviews! Annie and Carrie also joined in to answer author questions about their own book reviewing endeavors. Monday: Join Missy Tippens and Connie Mann as they have a fun back-and-forth chat on "Writing What You Know...And What You Don't Know." Both will be doing giveaways! Tuesday: Julie Lessman will be here talking about KISSING!!! Yay! Stop by and leave a comment to get your name in a drawing for your choice of a paperback copy of my writer’s workbook, Romance-ology 101: Writing Romantic Tension for the Sweet and Inspirational Markets OR your choice of any of my indie e-books, including my upcoming release, Love’s Silver Lining. 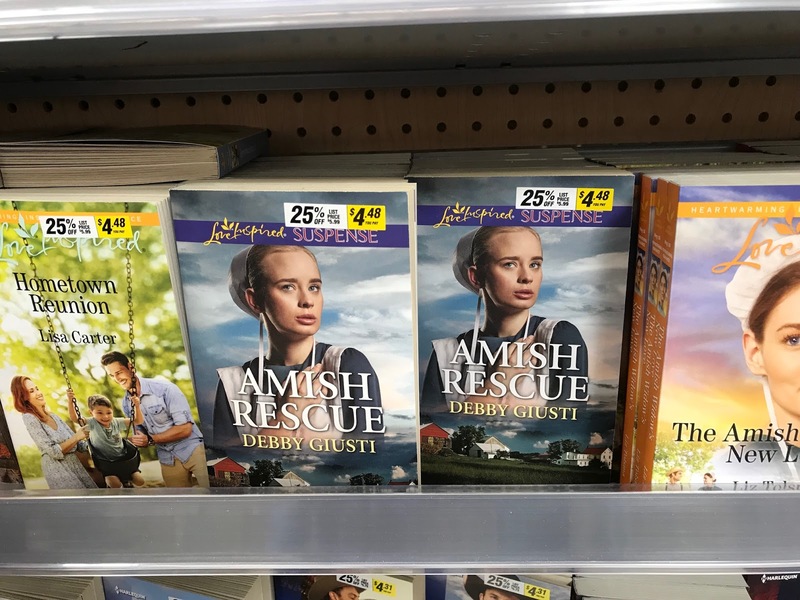 Wednesday: Stop by the blog to see what Debby Giusti says about "The Writing Process." Prizes and lots of fun. Coffee too and virtual breakfast. See you on Wednesday! Friday: Join Winnie Griggs as she discusses the importance of layering texture and emotion into you writing. Mary Connealy's The Accidental Guardian is on tour with JustRead Publicity Tours next week. Be sure to follow the Blog Tour for interviews, guest posts and review stops, all with extra entries to the tour-wide giveaway! Ruth Logan Herne's More Than a Promise re-release celebration continues with a Bookstagram Tour on Instagram! 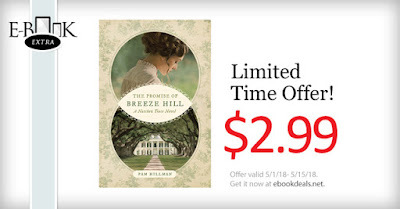 Just 2 more days with a giveaway ending on May 13, 2018 at 11:59 PM. Check it out! 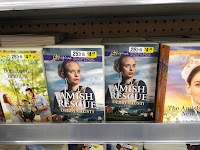 Debby Giusti found AMISH RESCUE, the third book in her Amish Protectors series, at Walmart on Friday. 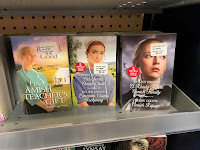 She also found a two-in-one with AMISH REFUGE, the first book in her Amish Protectors series. Perpetual License for Derivative Rights. From Writer Beware, shared on The Passive Voice. Open to writers of all genres and levels, the spring conference of Oregon Christian Writers is Saturday, May 19, from 8:30–4:30 at First Baptist Church, 3550 Fox Meadow Road, Eugene, Oregon. Terry Glaspey, award-winning author, will keynote on the theme “Trustworthy and True: Words of Redemption for Our World.” Afternoon workshops cover fiction, nonfiction, article writing, self-editing, humor, and author platform. To view the day’s schedule and register, visit: http://oregonchristianwriters.org/spring-2018/. Plot Problem? Fix it Fast with a Retcon by Laurence MacNaughton at Fiction University. 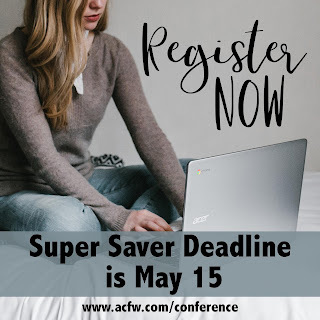 Don't forget that the deadline is coming up for Super Saver rate for the ACFW Conference that will be held in Nashville, TN, September 20-23! You get the best price if you register by May 15th! Click here for info. 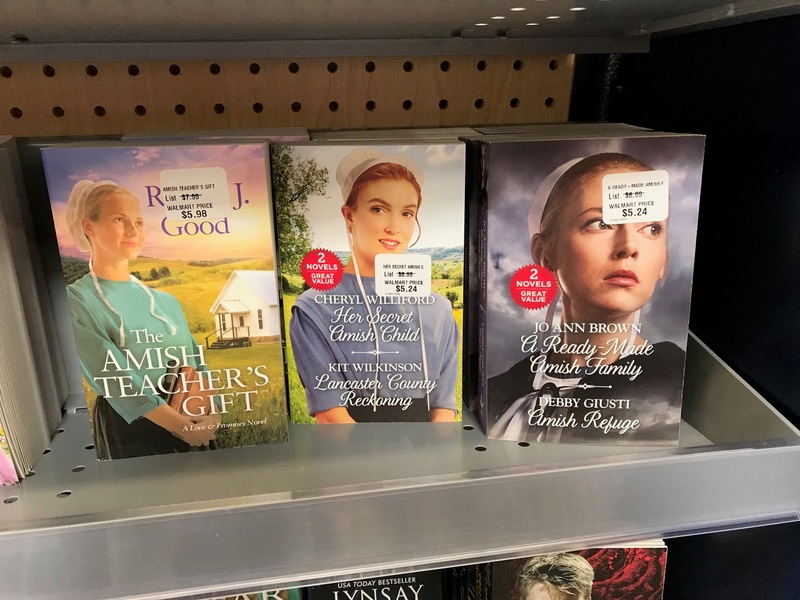 6 Reasons to Relaunch Your Book by Penny Sansevieri at Jane Friedman's blog. Click here to register! See y'all in Nashville! I bet you are so happy, Missy. Enjoy your summer with your daughter! Missy, I know you're thrilled to have her home. We're leaving in an hour to head off to our oldest son's college graduation. Doesn't seem that long ago he was playing with Legos. Now he's an engineer. Mindy, congratulations to your son! Mindy, I can't believe he's graduating already!! So true about how quickly it passes. I am so excited to win The Hidden Side and the wall art from Heidi! The wall art will be especially meaningful to me as the choir sang "It Is Well With My Soul" at my mom's funeral in March as we felt that song so represented Mom's faith. This weekend will be my first Mother's Day without my mom, so I need that reminder. I will be with my dad and all my siblings on Mother's Day as my niece and nephew graduate from high school on Sunday. As my sister said on Facebook earlier this week, it will be good to get together for a joyous occasion. I wish a Happy Mother's Day to all the mothers in Seekerville. The first of anything without your mom is tough, but Mother's Day is one of the worst. I'll be thinking of you & keeping you in my prayers this weekend, Sandy! Mother's Day can be hard, especially so soon after losing your Mom. I'll be remembering you in my prayers, Sandy, and all those you have lost their moms this past year. Meant to add that "It Is Well With My Soul" is my very favorite - - Love that special hymn so much. Thank you, Patti Jo and Debby. I appreciate it. Sandy, I, too, will be thinking of you on Sunday. Congratulations to all of the winners! Yay me...I'm one! Thank you so much. I'm thrilled to see I've won a copy of Beth's latest book, Things I Never Told You! After a tough week, this is a wonderful start to my weekend. Jill, I hope it perks you up when you receive it. Happy weekend, Seekerville, and congratulations to all of the winners. Oh, and love seeing all the book stuff. Woot, woot! Amy, that just made me smile. :) I hope you enjoy it! Thanks for the great posts this past week and next week looks great also. CingCongratulat to all of the winners! Happy Mother's Day! Blessings to all!! Connie, blessings to you as well! I hope everyone is enjoying a delightful weekend, and hope all the moms, grandmoms, aunts, and others will have a blessed Mother's Day! For those of us who've lost our precious mothers, it can be an emotional time...but we treasure those memories. Thank you for the wishes and the pie, Patti Jo! Happy Mother's Day Weekend to all the Moms and to all women with a Mother's Heart! That includes all of us. Enjoy your day, ladies! Congrats to the winners! After church today, I headed to our local Farmer's Market. Such a beautiful assortment of produce and baked goods. I came home with pecan raisin bread and a large loaf of Tuscan white bread. Care for a slice? Debby, those breads sound amazing! Pass some my way! Hope everyone has a blessed weekend. It is absolutely gorgeous here in MS.
Congratulations, winners!!! Have a fabulous weekend! It's hot and muggy here for me! Quite simply, internet marketing is understood to be the ensemble of techniques that leverage the web for driving visitors to your website and hopefully more customers to your business enterprise on Buy now shoutouts from Germany's top influencers - Adfluencer.